I have a fantastic Valentine’s Day promotion to tell you about and it just so happens to involve one of my favorite subjects – yes fashion, but within fashion. SCARVES. What do you get when you combine art inspired by the water color paintings from the legendary Jerry Garcia of The Grateful Dead and fashion? You get artful fashion. What do you get when you combine it with scarves? 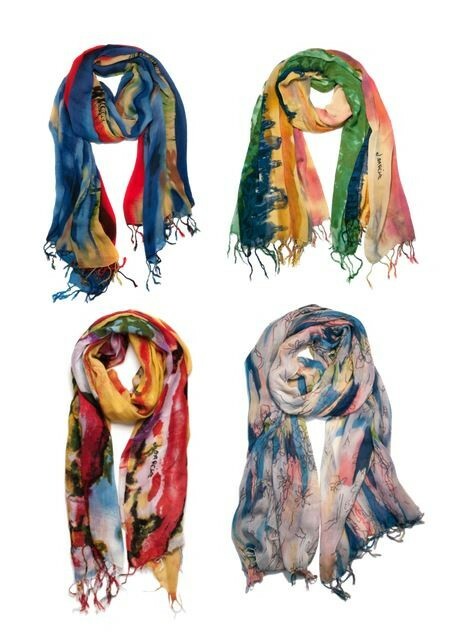 Art-inspired fashion scarves perfect for spring that I am very proud to wear. 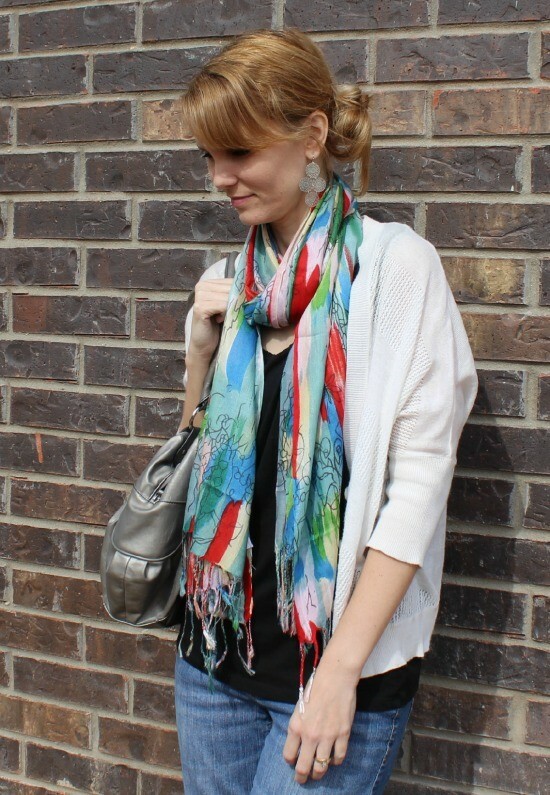 The one I am wearing above it the Banyan Trees Scarf: A soft-hued scarf in spring colors. Inspired by Garcia’s popular watercolor Banyan Trees, which are prolific on The Big Island of Hawaii where Garcia found a second home. It is just stunning and the perfect weight for spring. You can dress up a pair of jeans, as I did. Or wear it with a black maxi dress and a bright pair of flats, which I plan on doing very soon. Here’s the entire J Garcia Artwear Scarf Collection. 1. Wetlands I Wrap: A subtle medley of complementary multi-hues creates an elegantly artistic look. Wetlands I endures as one of Jerry Garcia’s most popular works. 2. Dawn at the Ritz Scarf: A richly colored scarf with an artful watercolor effect. Available in sunrise, sage and teal colorways. Garcia’s impressionistic painting is captured in this scarf, emulating the New York City sunrise from his hotel room window. 3. Feeding in the Light Infinity Scarf: An artistic collage of color, available in original (dusty orange), blue and teal colorways. This scarf is based on the painting Feeding in the Light, a tribute to Garcia’s deep love of the ocean and skin diving. 4. Banyan Trees Scarf: A soft-hued scarf in spring colors. Inspired by Garcia’s popular watercolor Banyan Trees, which are prolific on The Big Island of Hawaii where Garcia found a second home. Garcia Artwear is offering an under $20 Valentine’s Day promotion on their collection of art-inspired fashion scarves, infinity scarves and wraps. Through February 14, consumers receive 10% off using LOVE promotion code at checkout. Get your hands on one or two while you still can! Scarves are such a great gift and are an article of clothing that last for years and years to come. Purchase yours today on Amazon.com. Disclosure: MomFabulous was sent product to review for this feature. No other compensation was received.